In recent years, Glasgow’s abundant student community across the city has become more and more active in environmental and social issues. This culminates every year with the Glasgow Goes Green (GGG) week in mid-February where you can see all the different initiatives coming together to showcase their campaigns, talks and activities. This year’s GGG took place in the Glasgow School of Art Union and it was packed with small local organisations offering information about environmental and social issues as well food made from ingredients intercepted from supermarkets and showcasing a range of different crafts, from bike tube backpacks to melted plastic waste jewellery. Photo credit: the author's personal images. The event was predominantly orchestrated by GUEST, UofG’s environmental team that are doing a lot of work on campus. They are the ones pushing for better recycling facilities and have provided free bike maintenance sessions on campus. Glasgow Goes Green is a good opportunity to see what is happenings across the city (not just at student level!) when it comes to ethical issues.For examples, this year, there was a stall for a student housing co-op set in Glasgow which was founded to combat increasing rent prices and provide a democratically controlled living environment. This is good news for students all around as it could help those struggling to pay the high rents in the university area. There was also a Swap Shop stall where students could exchange items of clothing or just take items home. Places like the Swap Shop are trying to encourage students to donate and recirculate their clothes rather than contribute to the fashion industry waste. One of Glasgow’s oldest community garden, The Concrete Garden was there to talk about what they do and the regular activities they have on, like Grow Your Own courses, community events and DIY events like Lotions and Potions (make your own cosmetics). 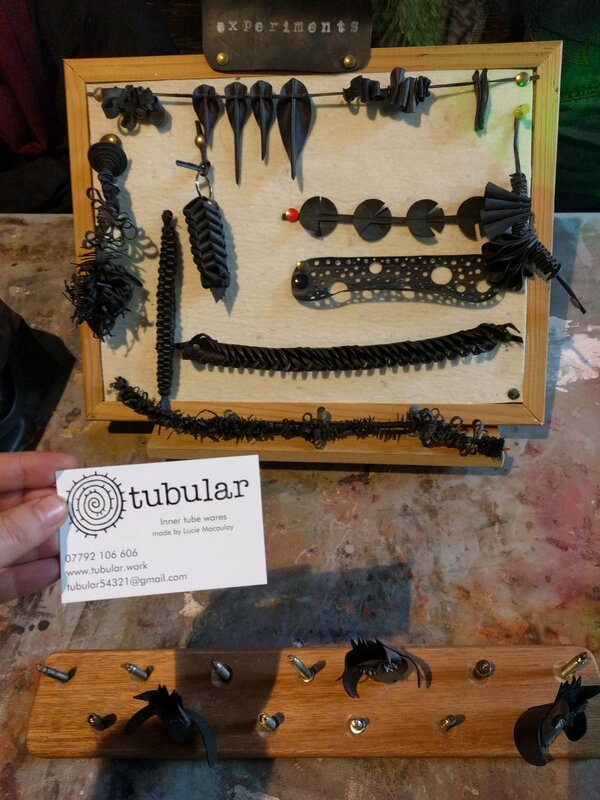 Kinning Park Complex were showcasing their melted plastic jewellery which encourages us to look at plastic in a different way, as something that can be further processed rather than sent to landfill. I thought their designs were very interesting and I got in touch with the designer to see if I could use their materials in my own jewellery project. Glasgow Uni’s Food Co-op was there as well, one of the longest running environmental student groups at UofG. The Food Co-Op is a student ran organisation that works with local farms and bulk suppliers to get regular deliveries of fresh fruit and vegetables at cheap prices sourced in an ethical way. They also organise regular events and workshops - food focused of course! The Food Co-Op inspires students to think about their food beyond the supermarket. 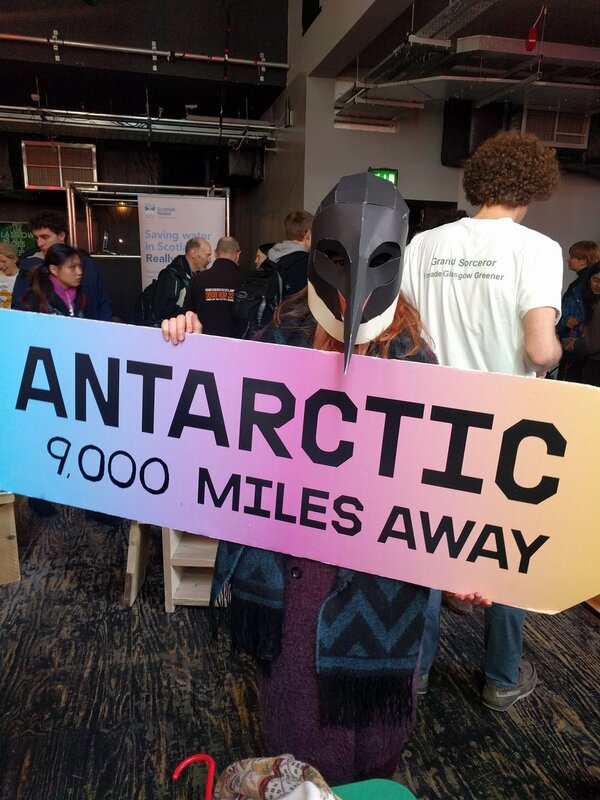 As for organisations from the wider green community, Greenpeace Glasgow volunteers were there to talk about their campaign to protect the Antarctic. They are always looking for volunteers so that is something that motivates you you should get in touch! I think environmental and social ethics something that affects all of us, especially things like housing and access to food. UofG is increasingly taking its environmental commitments more seriously but more students need to take part in order for them to match their efforts. A lot of the environmental issues on campus can be solved by adapting facilities - e.g. adequate recycling or biodegradable catering supplies. Especially now as campaigns against plastic are gaining ground, it’s important that students let the University know they care! You can find more information about how to get involved on the SRC website here. What are some of the ways you’ve been involved in green things at UofG? What do you wish UfG did more of and what would you like to change in terms of environmental issues on campus?